This Farmer’s Club was created by GSB with funds from Foundation MSM and a tube well with rope pump was provided for irrigation and drinking water. 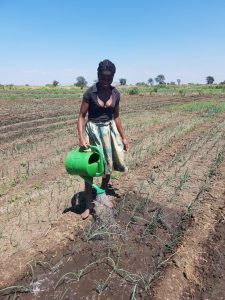 After the project, 6 members (5 man and 1 women) kept continually producing vegetables for income and for their own family use. They are doing well. Last year they had a net income of about $ 5000,00 which has been divided between the 6 members. They have invested $ 300 in buying land as their property. Last year they produced 2.5 tonnes of onions and 800 kgs of Garlic. The rest of the crops, like green pepper , salad, green beans, cabbage, they did not record because they were using those for eating and sales, and also they did not have such a high value compared to onion and garlic. The rope pump has been installed in Bilibiza near by the Montepuez river, at Montepuez Bairro, placed on a tube well of 6m depth, drilled with the manual drilling method, by GSB. The well has always water for irrigation and drinking. The pump is used to irrigate about 7500 square meter but the area is large enough to enough to install one more pump to cover the whole area. From the obtained income, they can now pay the second pump for 100% by themselves. They will pay 25% every 3 months. 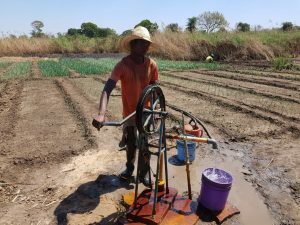 They have been trained on agricultural production, water & sanitation and rope pump maintenance, through GSB Smart centre Mozambique. Since the well is private they prevent people in general to take drinking water from it. Only about 20 to 30 people, which are relatives from the members of the group, are taking drinking water daily. Some of the users use House Hold water filters, others not. “The big challenge all the farmers are facing is that there is an agro shop nearby. And although we have more farmers trained in previous projects, they cannot process because transport is very expensive and they also lack accessibility of agricultural inputs. We should have more examples and growth of the farmers production. If they grow enough they can buy or hire our services. I think it can be a sustainability strategy for running fluently our SMART Centre, because many customers are farmers. We need to invest in them to become sustainable. 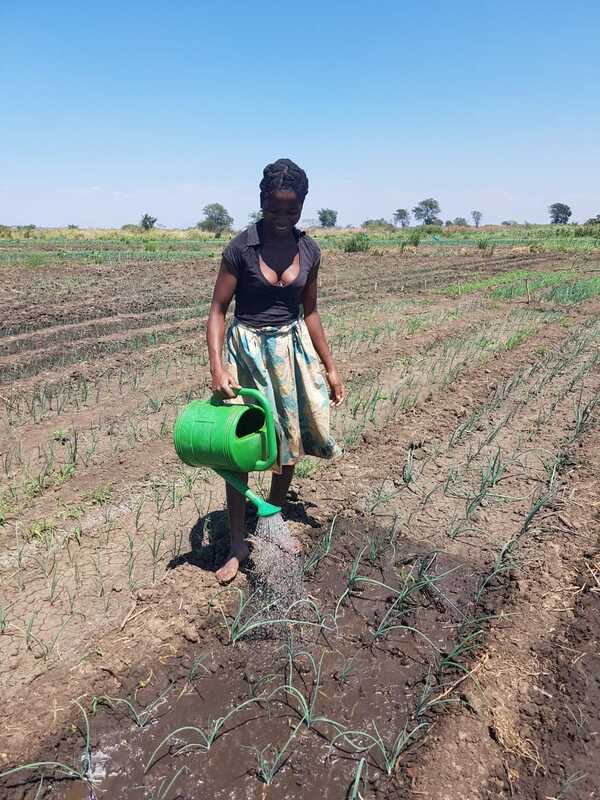 Honestly farmers have a good market to sell vegetables, with coming external Industries in the North of Mozambique there will be more opportunities for farmers to participate in this process, but they need to produce a lot and with good quality. Now I think we need to establish agro shops for sustainability of the SMART Centre Mozambique”.